A couple decades later, the Eagles released their best selling album of all time. Their Greatest Hits (1971–1975) has sold over 42 million copies to date, and is the third highest selling album in history. Not long after, Aerosmith released their first Greatest Hits, a collection of single edits and radio versions of their best songs, and one non-album track (“Come Together”, from Sgt. Pepper’s Lonely Hearts Club Band soundtrack). It has sold over 11 million copies. These releases, and many more, have made greatest hits discs a lucrative cash cow for record labels. On it on it goes; you’re not a success until you’ve released your first greatest hits disc. Some bands have always resisted releasing collections of pre-existing music, others have not put such value in their integrity. Hits albums are usually looked at with disdain by the die-hards and “purists”, but make an easy gateway purchase for people not (yet) interested in the discography. Why do die-hard fans look down on hits albums so much? 1. A more recent practice from the 1980’s and 1990’s was to include two or three new songs, forcing fans to buy old songs over again just to get the new ones. It’s such a common practice now that it’s expected, but we still resent it. 2. Live versions. Even if we choose to buy or listen to a greatest hits album, a lot of the time the familiar original versions are replaced with inferior live ones. Casual music listeners don’t usually seek live versions, and die hard fans usually already have the live albums. It just serves to make the listening experience less than it should be. 3. While it is certainly not a rule, for the kind of music we listen to, a studio album is often a self contained work, not just a collection of songs. There is usually a direction and purpose for the songs. Listening to songs out of their intended context doesn’t always work, but nine times out of ten, they are best appreciated on the original album. 4. Who else but a die-hard fan would be a better self-proclaimed expert to criticize the song selections on a “greatest hits”? 5. Artistic non-involvement. Few hits albums have any input from the artists themselves. Without the artist contributing, a greatest hits becomes just another product assembled by record company suits, most of the time. 6. Cash grab. Many greatest hits album stink of the whiff of “record company cash-grab”, usually at opportune times. 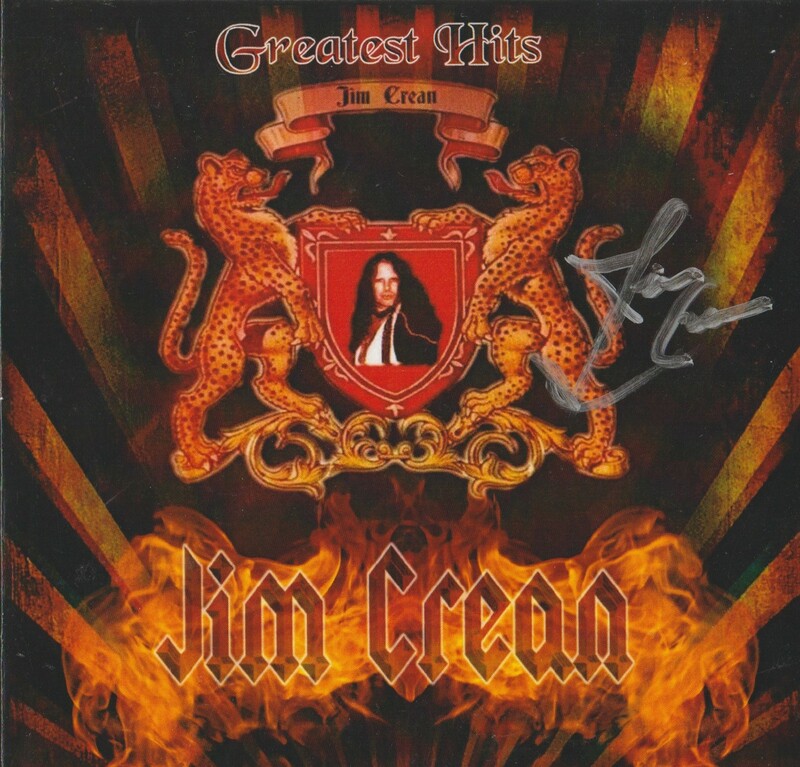 What do you like about greatest hits albums? 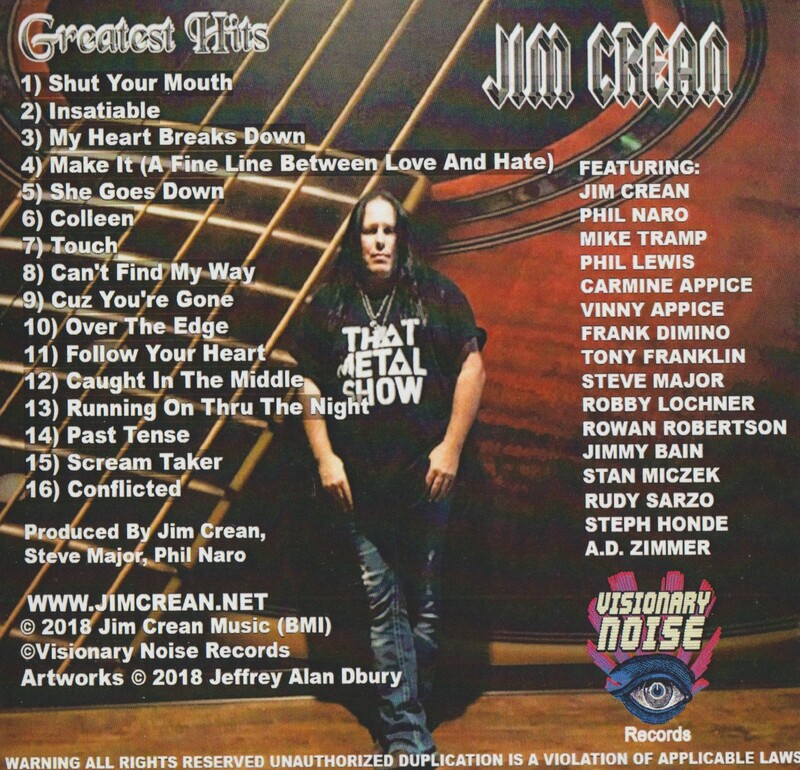 There’s a great variety of tunes on Greatest Hits: everything’s here from the punk rock snarl of the opener “In The City” to the mournful “That’s Entertainment” to the upbeat fun of “Beat Surrender”. In between you will find some of the catchiest bass lines ever recorded, topped by the undeniable lyrics of Paul Weller. To write this many truly great singles…well you just don’t see it that often. The Jam rocked, The Jam were cool, from punk rock to Motown soul and funk, these guys did it all and did it well. You would be well advised to pick this up. It’s cheap now, too. Less than $5, used. Part 37 of my series of Kiss reviews, leading up to the release of Monster! Wait a minute — wasn’t the last review I did a Kiss compilation from 1997 called Greatest Kiss? Yup! Welcome to Kiss – the compilation years. This is why fans such as me were losing their patience. Yet, I paid $40 to order this from Europe, wanting my Kiss collection to be as complete as possible. My employers wondered what the hell was wrong with me, spending $40 for 20 songs that I already had. I guess it’s hard to understand if you’re not from the Kiss Army! The tracklisting is actually a little interesting. Greatest Kiss only had one non-makeup song (“God Gave Rock And Roll To You II”) and this one has three: “Crazy Crazy Nights”, “Lick It Up”, and “God Gave”. That alone was unexpected and I remember listening to this CD, glad that Kiss weren’t totally disregarding the 80’s. 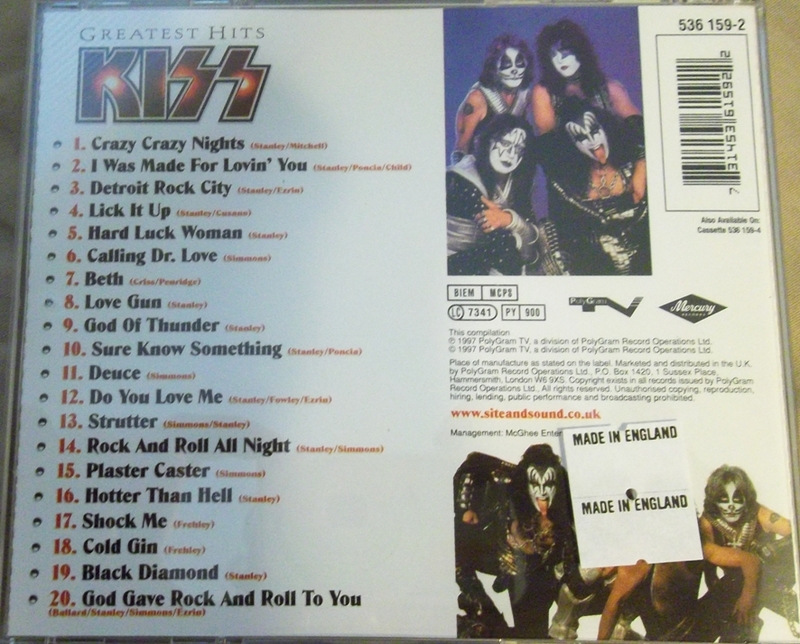 Aside from this, it’s a pretty ordinary compilation and covers a lot of ground already on Greatest Kiss. I did detect one bad edit between tracks, where a fade did not end completely. This was dissapointing to me, and combined with the lack of any sort of liner notes in the packaging, smacked of a rush-job and cash-in.